Conor McGregor has been very vocal about his admiration of the old school pro wrestlers such as Ric Flair and Vince McMahon. He’s very close to Becky Lynch and was supporting her all throughout to win the gold at WrestleMania. 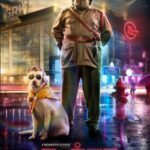 Next article Yogi Babu’s animal connection continues!